HomePod's inclusion as an accessory within the Home app is noteworthy, as it is the first Apple-built device to have HomeKit compatibility as an accessory. 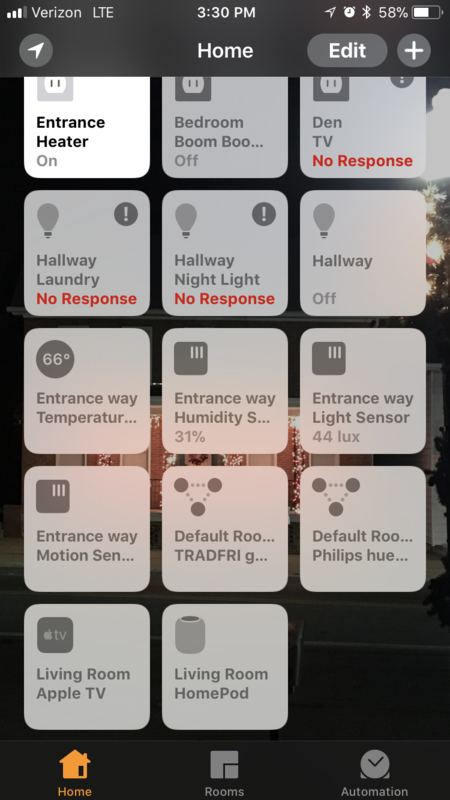 Notably, while an iPad or Apple TV can act as a HomeKit hub, they do not show up as accessories in the Home app and cannot be controlled like smart home devices. You cannot have the HomePod automatically stop playing music when a HomeKit scene is triggered, such as when leaving home or turning off a light. The HomePod, though, is different, and its integration with HomeKit will grow even further when support for AirPlay 2 launches. With AirPlay 2, all compatible speakers will show up as HomeKit accessories, allowing users to invoke Siri to play music in specific rooms. Even though AirPlay 2 isn't here yet, the HomePod still shows up in the Apple Home app. This is where users can adjust various settings and where Apple will deliver future firmware updates for the smart speaker. In the Home app, you can even tap on the HomePod icon to play or pause music. However, Apple's HomePod is not shown as an option in the Home app when creating a new trigger or scene. That means you cannot, for example, have the HomePod automatically stop playing music when you leave the house, even though you can configure lights, switches and other accessories to turn off upon departure. The configuration could be a glimpse at how AirPlay 2 integration will work when it launches later this year, allowing speakers to join the HomeKit platform in a more passive role. Of course, HomePod can still be used to control triggers and scenes however. With Siri integration, HomePod allows for voice control of Apple-compatible smart home accessories. Just don't expect the HomePod itself to be automated by custom creations in the Home app. I found it interesting that my Apple TV did show up as an accessory a few days ago... anyone else see this happening also? I hope that changes soon. It would be great to have HomePod stop playing when you had left or start playing when you arrive. There are other ways it would be nice to integrate HomePod into a scene or automation. Maybe this will come in the, hopefully, near future. Hasn't happened to me yet, but that is interesting. Are you on any beta software? Yeah, I think that's a tvOS beta/AirPlay 2 thing. But man, would it be nice to create a scene that says "When I turn on my Apple TV, turn off my lights and stop music on my HomePod." I am not impressed with this product introduction by Apple, overall. I can totally understand (and respect) something as game-changing, mind-blowing, and radically new as the original iPhone arriving without some basic features, e.g., the App Store. But c'mon, this is a pretty basic product, and a rather derivative one at that in terms of its use cases (no I am not talking about the speaker technology). If, in its use cases, it can't even play well with Apple's own existing ecosystem, that is frankly, pathetic. I feel about this rollout exactly the same as I did about AppleTV 4: late, lame, and lackadaisical. I'll wait to see what future iterations bring. Yes! That would be fantastic. I can’t imagine Apple will leave HomePod out of scenes and automation for long, it’s just too obvious low hanging fruit. It would also be nice to set up scenes that set lighting, etc., and play certain types of music via HomePod. I think it would be fair to say that many of the current "does not work" issues with the HomePod can be appended with a big YET. Of course we'll all have to wait and see how many of these "yets" get knocked off the to-do list in upcoming updates. In retrospect I do believe that Apple has achieved one very big objective with the HomePod. They have created a higher level of buzz and interest around their music offerings at a time when Apple Music is starting to gain good traction against the incumbents and the leader is almost in striking range. If HomePod pumps up the volume for Apple Music in a measurable way it's a win since music is part of Apple's DNA. If they can also leverage HomePod for HomeKit adoption - better still. Longer term the voice integration, workflow automation, and AI will play into a larger ambient intelligence push, but that's a fairly long range objective. Let's see how HomePod actually impacts Apple Music. And grill me a steak. I'm looking for an excuse to buy one. I went by the Apple Retail Store today and it sounds really good, but so does my $129 Bose Soundlink when I'm listening to music & podcasts around the house. I've got some Elgato Eve products that I use with HomeKit, including custom triggers, so those commands may not function properly. I also wish it was wireless. The Apple rep told me it always had to be plugged in. I'm sure I'll eventually get one, but the impulse buy isn't there for this one. Besides, my wallet needs a breather from the X. 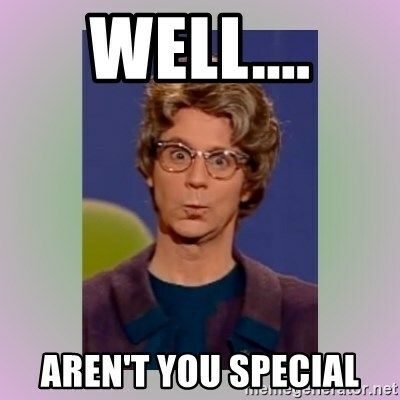 @UncleChi11: ;You know all of your remarks sound a lot like planted from a competitor, don’t you? If your wallet need a breather then you shouldn’t buy it. This is true to every situation not just Apple products. I, on the other hand, have set aside a budget for stereo speakers two years ago & it’s around 10 times a single HomePod cost. That’s how I’m serious about my audio gear. Thankfully HomePod will save me a lot of money. I had listened to those Sonos & no way I’ll buy that, ditto Bose Soundlink which is just a bit worse than Sonos. @UncleChi11: You know all of your remarks sound a lot like planted from a competitor, don’t you? Maybe because it's also a hub, they have to be carefull in what it allows; for launch limiting variables for f-ups is probably a good thing. Probably will come later. I have been playing with my HomePod and I can say the sound is much better than my Sonos 1. I have a Martin Logan Soundbar in my bedroom and it always bothered me when I went into my bathroom as the Sonos sounded 'thin and echoish' it was a definite step down from my ML's. The new HomePod sounds pretty close to the ML's. Super rich and enveloping sound. no real discernible difference moving from room to room. In regards to Siri performance, I think it does some things really good (ability to hear your voice under most circumstances, ability to control and tell you about music...) I have Lutron Caseta lightingthrouout my house which I LOVE!! I was disappointed that HP can't control scenes (as of yet). I have several scenes that I use very frequently which makes HP severely lacking in this category. In my living room I have 3 different lights that I like at different levels depending upon what I am doing. Using HP to control them is cumbersome without the scenes ability enabled. I agree. It's better to start with a subset of the desired features and add them in via updates. That makes it easier to figure out what customers want to do and build it right.